Bigfoot Adventure 34" blue snowshoes with pivot bar, matching telescoping poles and carry bag. Mastercraft 60 piece precision screwdriver set with magnetic tray and storage bag. Also a Mastercraft heavy duty 8 outlet power bar. A beautiful grey, black and red Canada Chuko GMC jacket from Scherer with Element Protection. Medium size, full front zipper and four zipper pockets. Parkside Club Chair and Ottoman. Pairs well with item #107. Blue/Green Accent pillows for your patio. 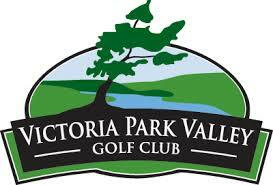 4 -18 Hole weekday green fees to the Victoria Park Valley Golf Club in Puslinch. Valid Monday to Fridays during the 2019 season. Remington RM2560 Rustler 25cc 2-Cycle 16-Inch Gas Trimmer. Equipped with QuickStart technology makes pull starts easier. May not be exactly as shown. Clarity 2 seat Swing. Heavy duty steel frame. Sling fabric is easy to clean and quickly dries after getting wet. Cushioned Wicker 2 seat Swing. Beautiful and modern swing design will fit the decor of anyone's backyard. Taber Cushioned Club Chair. Dark grey wicker with light grey cushions. John Deere Die-cast of 1927 Model AOS and toy tractor with front loader and weight.